Don't Quit - Never Ever Ever! Are you ready to LEAP into Spring? invasive weed called stick weed - so named because it sticks all over you! I don't know if it serves any purpose other than letting my dogs propagate it from one place to the other, because they come in from outside with it stuck all over their beards! It's so funny to see! I found this YouTube Video today, and it really encouraged me. I hope it encourages you also! I will admit it...this time of year, every year, I get sort of discouraged. But I should not be for there is much potential to what I do. And what I dream of doing! So this year, I am not going to give into the discouragement, but just sit still, plan carefully, and keep plugging away! Also, I am going to be retiring Cassia's Kitchen. That is why I have not written for a long time on here. 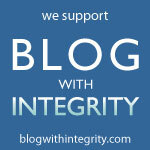 Someone who I trusted told me Wordpress was way better, so I have been busy behind the scenes of my new blog. It will be called CassiaatHome.com So stay tuned! So my friend, be encouraged this day! Discouragement gives way to hopelessness, and hopelessness to despair, and despair, well, we won't go there. Y'all know how we Texans love our gardens, right? Well, I love me some peppers, but this year, my banana pepper plants yeilded a total of......drum roll......one (1) yes, #1 pepper! You may know that peppers of all kinds are one of the highest forms of Vitamin C around! An excellent way to spice up soups, curries, and sauces, green chillies provide the most vitamin C than any other food with 242.5mg (404% RDA) per 100 gram serving, 181.88mg (303% RDA) in a half cup chopped, and 109.13mg (182% RDA) in a single green chili pepper. Red chillies provide 144mg (240% RDA) of vitamin C per 100g serving, 108mg (180% RDA) per half cup chopped, and 65mg (108% RDA) per pepper. Honestly, the thing I like about Subway Sandwiches the most, are those bright yellow green sliced banana peppers they put on their sandwiches. At the grocery store, these beauties cost around $3.50 for about a pint, so I decided to pickle me some peppers faster than you could say Peter Piper! I decided to water process mine, just well because. You can see from the size of these quarts, that it will take a family of 3 awhile to eat them all! So I want to preserve them to use later. For more information about canning your harvest, check out Ball Canning Jars. Have you ever preserved your food? What kinds of things do you can? 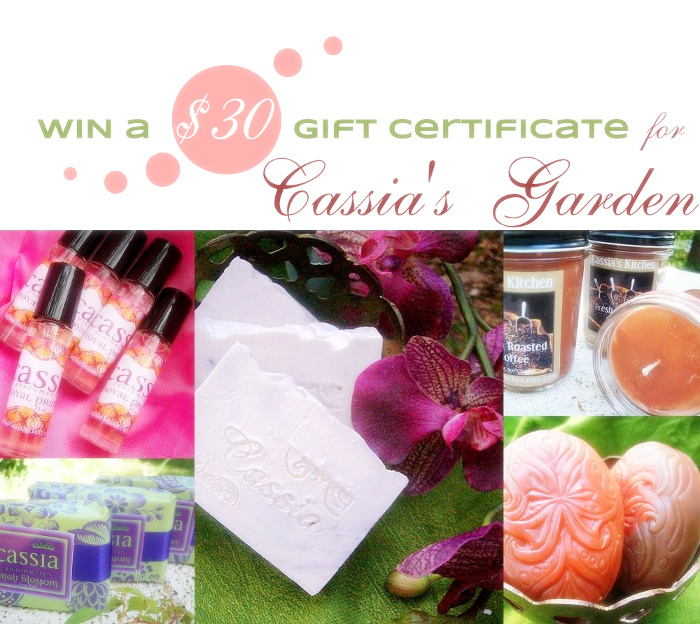 It a Cassia's Garden Giveaway! So those of you that read my Facebook know that I had the honor of being featured on August 1 at Sonya's blog Kanelstrand Organic Living. I am so pleased to meet awesome friends & fellow artists on the blogosphere, through Etsy and other handmade sites! The mutual admiration and respect goes a long way in building relationships that hopefully will last a long time. Sonya is a great blogger; only she is not so concerned with being a blogger that literally is only in it for the big bucks, with flashing whistles, lights, blinkies and other marketing approaches and endeavors. What I see in her blog is an organic approach via a comprehensive plan to grow and expand her influence with content that delivers useful information, breathtaking beauty via her photography, her handmade organic beauty from Norway, and her giving back to the community through helping other young entrepreneurs opportunity to showcase their product. When I get some spare mad money, I am getting this: it's just too cute to pass up! I have sponsored her blog for three months, and she in turn is promoting a giveaway on her blog. Enter her contest and get a chance to "go shopping" on me!~ Yep, I personally would go on over there and enter today if I were you!~ Here are the contest rules. Hurry now; the contest ends on August 10 in european time, so don't delay! You may enter up to 6 times! 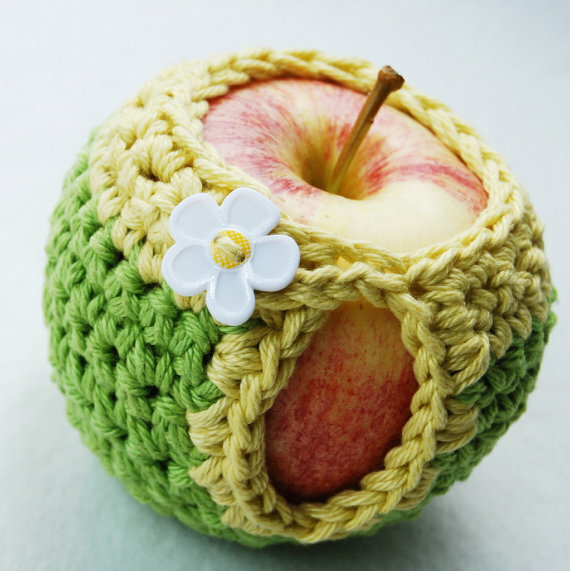 Then, go check out Cassia's Garden on Etsy.com and decide what you will get when YOU WIN! It's easy to Heart my items; go to the upper right hand corner of the item listing under where the Price is, right next to the Green Add to Cart Symbol and click on the favorite. That will bookmark your wish list for later shopping! Hurry now, and don't miss out! Hurry on over to Kanelstrand Organic Living today! The dog days of summer when you long again for the fresh green and coolness of early spring! I love these greens, and I love the Peridot. My baby sister Erin was born on August 10th and I want to bless her with something wonderful from Etsy. What do you think I should get her? 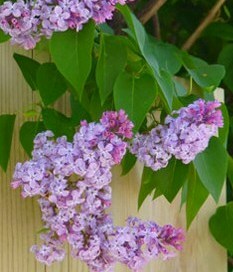 Down here in Texas we don't have the lovely lilac that the North has. So what do we do? We improvise! If you have never smelled this ethereal fresh alluring lilac, have we got a treat for you! Do YOU love LILAC? Now that I am acquainted with the loveliness of this scent, I made a whole array of product in it! I used the best fragrance that I could find that is phthalate free, and all the reviews I read said this is the most true to the real, blossoming, flower that graces the northern US! Reminiscent of verandas of old, warm summer nights, and LOVE. Lilac is a legendary fragrance, and those who are fortunate enough to live in climes where it flourishes know that there is nothing quite like the lilac bush when in full bloom. In other news, the next FIVE days are going to be really busy! I've had lots of orders! YAY! Joe's daughter Robyn and our granddaughter are coming to visit for a few days. It's Faith's 7th birthday and we are going to do it up big! Then we have The Response USA with Governor Rick Perry and a silent siege at the largest abortion clinic in the western hemisphere. So it will be hot and busy! But I am super excited! I will be back in touch soon, lovies! Thanks for visting today! You just don't know how much it means to me! Google + - Do You Need It? I've been watching from afar my oft referred to friends, the techno-savvy-guru-geeky-in the know-digitized very smart ones talking about Google +. I mean that with all the reverence my little heart can muster. If I call you a techno/savvy/guru/geek, please know that this is a term of Highest Designation and Affectionate Awe! Apparently...it's WHO you know, folks! So I go on Google + and am informed that I am not eligible but will be informed when it's open to the public. #rejection. So I consider Who I can Grovel To to ask for an invite just to be cool. Finally! Last night my wonderful new friend Mary sent me an invite! Wiping the sweat of rejection off my diminished ego, I shout "Yes!" to no one in particular and go on there. First off, "Mary" is nowhere to be found and my inbox is indeed full of people who quite awhile ago had already invited me into their inner sanctums. Alas, I am still working my way through SEO on my Shop and am nowhere near being finished with that! So I go on there and discover that it is quite like facebook, which took me awhile to master but now my friends think I'm quite the guru myself. Ha! It's all relative, folks! So now we're dealing with "circles" and I can see how they might indeed be effective especially for privacy settings. But I am not especially happy about my old Picasa photo account with all my ancient blog posts with dirty kitchens being aired. So, we might have to hold off airing ourselves to all cyberspace and business networks until we can get tidied up just a tad. Have you heard about Google Plus? Will you use it? If you aleady are, what do you think? Should you switch over and work less on Facebook? How is it helping you to grow your business or blogging? In other news, I had a new wholesale account inquiry buy a bunch of fall and Christmas samples from me, so I am hoping and praying it all pans out. The lady has 3 stores that must be doing quite well, so that's good to hear! And my Etsy Sales have picked up and I am recovering from my dismal feelings of obscurity, rejection and disheartenment. It's just so hard to plan sometimes when you just. don't. know. In other news, Don is trying to bust his blustery way into the Gulf with landfall tomorrow night. We've been praying about that one. No thank you, we will take the Rain Only but Hold the Hurricane Force Winds! Next month will be very busy for me so it's time to get the kitchen all cleaned up and organized, and get our new fall schedule buttoned down! We still want to get out of town for a few days and are looking for a deal of some kind for us as a family. We feel we need to get away for just a few days before school starts. If you know of any deals, please be sure to holler! Well, just a quickie post friends! Wanted to get your take on the new Google Plus! 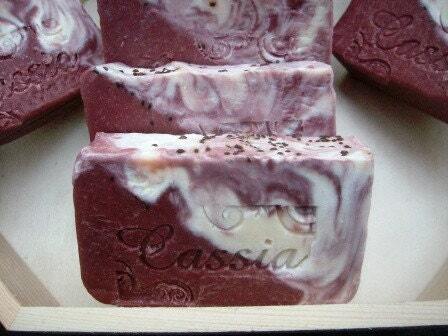 I just love the sound of the name of Cassia! It's soft, feminine and appealing. I just love that herbs, aromatherapy, and nature's plant essences are so good for us! It 's truly a delight to work in tandem with nature to create healthy alternatives to harsh chemical products. I love working with plants, essential oils, natural vegetable oils chocked full of nutrients! I found these beautiful videos of Cassia plants: I hope you enjoy these videos and learn something new! This one from India. And this one from Tampa Florida! Well, I have to go run make dinner. Goodness; it's so late already! Let me know if you enjoyed these videos!